Edoras Stables is a small family run farm that is managed by Syneva Blatchford; owner, trainer, breeder. We have a small, carefully selected herd of Gypsy Horses (also known as Gypsy Vanners, Gypsy Cobs, Irish Tinkers, etc.) We are focused on breeding quality, not quantity, keeping in mind the vision that the gypsy breeders have strived for in this beautiful breed. We offer our Gypsy stallions Luck of the Irish, ES Gandalf The Grey, and Rainbow's Blue Genes to select outside mares, and also have quality youngstock available for sale. Though our herd of Gypsies is small compared to most, we have some of the best bloodlines in the breed, including: The Roadsweeper UK, The Producer, The Old Black Horse, The Coal Horse, The PO Horse, The Hustler (Silver Fox), Legend Boy, Bob The Blagdon and The Lob, to mention a few. If you can't find what you are looking for here, I can help you find what you are looking for. 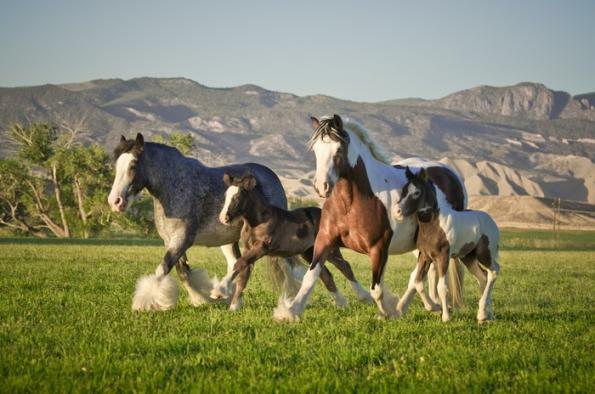 I can put you in touch with breeders who I believe have the same goals of breeding high quality Gypsy Horses. Let us help you to find you next dream horse! Thank you for visiting our site. 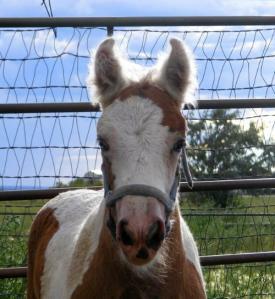 We look forward to helping you find your dream horse! Page updated on January 11, 2014.